In addition to designing and printing postcards and other collateral, we also offer a full mailing list service — meeting all of your direct mail needs, from database to delivery. Standard pricing for our mailing list services includes a single-use list rental of our residential lists — but we also offer upgraded plans with consumer, business, new-mover, and specialty lists for single and multiple use rental. Sample prices are listed on our How To Order page. Residential List A residential list includes every resident in a specific area. There are limited “selects” that can be chosen with this list. For example, you can choose to mail to certain carrier routes that have an average household income of $75,000.00 (this is the average throughout a whole carrier route – not an individual household basis). You can rent residential lists with household names (where available), or without names. Typically, if a list is rented with names, approximately 75% of the list will actually contain names. According to IHRSA, more than 50% of US health club members come from households with an average income greater than $75,000. Our residential lists come from one of the largest CDS List owners in the country. We have the most complete national residential list available. This list is fully CDS qualified with the United States Postal Service® and meets all standards to receive USPS saturation/walk sequence discounts. It is completely updated every two months. Unlike most of our competitors, we offer actual addresses for Rural and Highway Contract Routes in most areas. We have also taken the added step of qualifying for all businesses in our territory. Both of these services will help you successfully market to your potential members. Consumer List More than 100 million US households are available. With many different “selects” to choose from, such as purchase history, demographics, and lifestyles, we can give you a list targeted to your specific audience, which will generate optimum response. Use a consumer list when you want to be sure of whom you are mailing to! Business List Our Business Lists include over 18 million individual company names and addresses and more than 15 million senior and middle management executives by title. Also available is Business Hotlist, which is a hotline to all the most recent business changes in the country. Target this list by choosing “selects” such as Number of Employees, Location Type, and Sales Volume. New Movers List This could be a great way to gain new members by being the first to invite them into your club! Our New Movers list contains more than 1,000,000 consumers who moved over the past month. This list is updated monthly. New movers typically purchase all sorts of products and services right away to establish long-term relationships with neighborhood businesses. Special Interest List Are you looking for consumers who have an interest in specific activities, such as tennis, swimming, fitness, skiing, or golfing? With our various specialty lists, we’re able to accommodate your every need. Not only can you choose an interest, you can also choose their geography, age-range, household income level, and more. 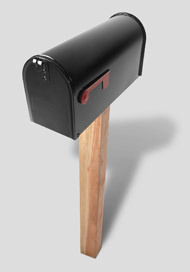 Ask your VCP sales representative for pricing on our upgraded mailing lists — or, for more information contact us.